Are you one of the 25% of Americans who try to hide their teeth when smiling? Many people out there are not satisfied with the color of their teeth, but fortunately, this does not need to be a problem you have to live with forever. By instilling some healthy habits into your lifestyle, you can maintain whiter, healthier teeth for the long haul. Check out some tips below. Going to a dentist at least twice a year can do wonders when it comes to your teeth and gums. It is easy to find a local dentist with a simple Internet search, and in no time you can be on your way to a healthier mouth. Keep in mind that throughout the world, almost 100% of adults have cavities, along with 60% – 90% of children that are old enough to go to school. Just a couple of visits to your family dentist a year could work wonders to resolve issues like these and get you a bright, shining smile that you are proud to show off time and time again. Seek out a dentist in North Miami Beach today! There are some types of food out there that are more prone to stain and discolor your teeth than others. Coffee, for example, is known for preventing your teeth from keeping those whitening effects. Do your best to avoid coffee-type drinks, along with juices, dark wines, sodas, and the like. When you do drink them, rinse your mouth afterward to minimize the chance of discoloration. Other foods to avoid? Anything known for staining clothing will likely stain your teeth, as well. Blueberries, tomato sauce, beets, and darker foods will do much less damage if you rinse your mouth or floss and brush after eating them. Sugary drinks and junk foods also have a reputation for breaking down your teeth and causing yellowing or discoloration. 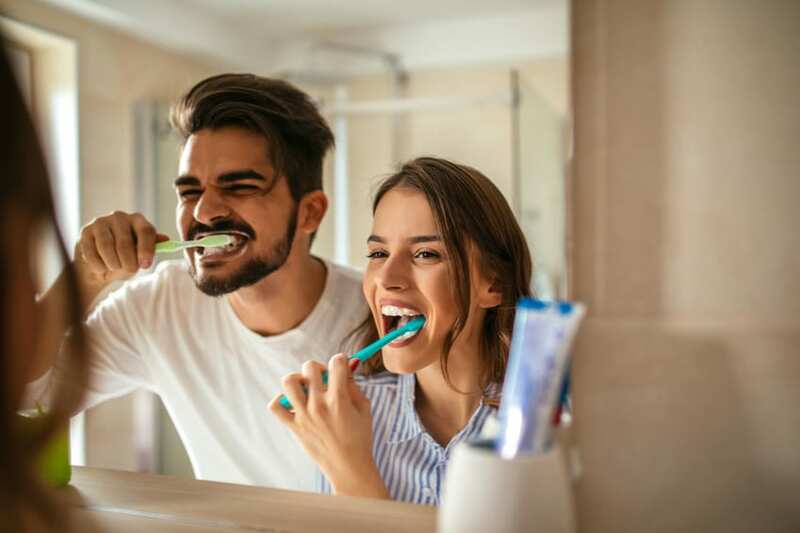 All in all, brushing after eating is a surefire way to remove these harmful foods and drinks, thus avoiding damage that might make you unhappy with your smile down the line. Things like smoking and chewing tobacco are obviously not good for your heart, lungs, and more, but they can also cause your teeth to deteriorate and turn yellow. Do you chew ice or bite your nails? These habits are also known for causing tooth-related damage that will affect the beauty and brightness of your smile. All in all, avoid using your teeth for things other than chewing food. There are tools for opening bottles, breaking open packages, and more, so save your teeth the stress and invest in some scissors and screwdrivers right away. If you need results fast, find a local dentist in North Miami Beach who can help you out with teeth whitening services or teeth straightening. In no time, you will be on your way to a great looking mouth and, with these tips in mind, you can maintain a healthy smile for years to come.